Have you lost all hope in passing your exam? Worry not! the VSPA offers, in collaboration with Tentamentrainingen.nl, the solution for all dutch AND international VSPA members! What can you expect from the help given by Tentamentrainingen.nl? You can seek contact with the teachers online with further questions. In short: you will only leave the course, when you really understand everything. Besides that Tentamentrainingen.nl garantuees that you will pass your exam, otherwise you will get your money back! 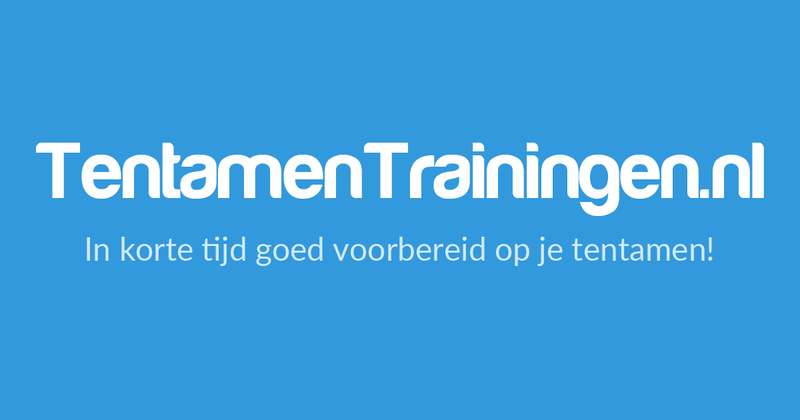 For more information visit Tentamentrainingen.nl/vspa, and get 20% off your exam training!